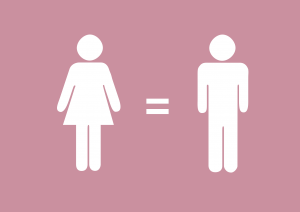 The RJC, in partnership with the Women’s Jewelry Association (WJA), the Jewelers Vigilance Committee (JVC) and Business for Social Responsibility (BSR), is proud to make available a webinar on the long term benefits of incorporating gender equality in to your business. Gave examples of tools that are available to support companies who want to start their efforts (available in the links below) and the opportunity to learn from each other to see improvements. What steps can you take for change? RJC is very excited to present our two part webinar series introducing and explaining the Sustainable Development Goals! Peter Wollaert from CIFAL Flanders, and fellow of the United Nations Institute for Training and Research (UNITAR), expertly explained what the SDGs are, covering their history and context. Peter’s presentation is a must-see, giving a thorough grounding in the SDGs, how they’re structured and link together. Karla Basselier from the Antwep World Diamond Centre (AWDC), introduced the impact that specifically the diamond supply chain has on the SDGs, and helped attendees begin to explore what the SDGs can mean for RJC members. This will be more thoroughly explored in part two (details above). Download the slides presented, here. Part two, held on Thursday 15th March featured Peter and Karla from part one, as well as Marie D’Huart from RJC member My Fair Diamond (CAP Source), relaying their experience of developing a unique business with impact and responsibility at the heart of its operations. We also heard from Mark Hanna from Richline who gave us insight into the work that Richline has been doing on a number of different SDG areas, and in particular the hard work that went into the ‘temperature check’ or impact assessment, at the start of any companies SDG journey. We drew parallels with preparing for the Code of Practices (COP) audit and getting compliant with that. Have any feedback on the webinar? Please complete our feedback form, here. RJC’s Manager of Member and Stakeholder Training, Maria Mursell spoke with Carina Schlesing, jewellery and compliance expert, on how RJC members can talk about sustainability to customers (B2B and B2C), focusing on their RJC certification. Understanding that while the millennial consumer may not ask in store about sustainability, they increasingly expect the industry to be responsible. As such, the webinar underlined why it’s important for the industry, led by the RJC, to encourage companies to be responsible – and what better way to do that than by becoming certified to RJC’s standards. 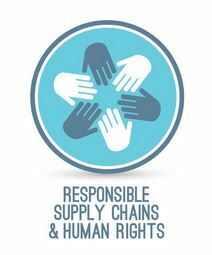 Demonstrating and communicating on responsible business practices isn’t a concern for retailers alone, but an opportunity for the whole supply chain to build confidence in the industry. drawing from experience – specifically highlighting the changes you made as a company to create positive impacts on key areas like your people, your profits and the environment – can create great stories. RJC Webinar – Why RJC matters to your business! Want to know more about how certification can improve your business? Want to get some tips from members on how you can achieve certification? RJC warmly invites you listen to our recorded webinar, to explore some of the benefits of RJC certification and how this can greatly contribute to the corporate social responsibility efforts of your business, no matter how big or small! You will also hear from existing RJC members and how they have implemented the requirements of the Code of Practices (COP) to ultimately achieve RJC certification. Saul Rubins, Policy and Compliance Manager at Berker Bros Ltd (RJC member since 2009 and member of the RJC Board of Directors). Please download slides from the webinar here: RJC Webinar : Why RJC matters to your business! Four panellists from across the diamond value chain, participated in a webinar with Anne-Marie Fleury, RJC Director of Standards and Impacts, to offer their expertise and viewpoints on the subject. The industry is working hard collectively to mitigate the risks of undisclosed laboratory-grown diamonds, and the webinar explored some of the foremost protocols and standards developed to do this, as well as the technology available to facilitate detection. RJC Human Rights Exchange held an online webinar session discussion on Security and Human Rights on 19 March 2015. 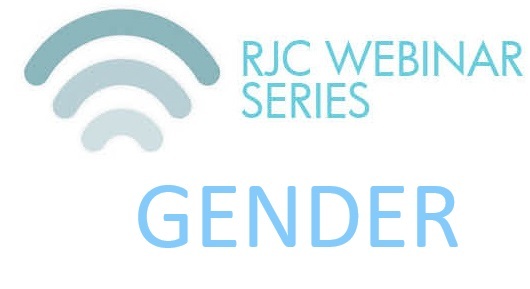 RJC held an online training session on ‘Gender.’ on 18 February 2015. The training was designed to help Members and other stakeholders consider the importance of Gender within a Human Rights Risk Assessment context. 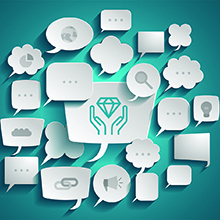 RJC held an online training session on ‘Executing Human Rights Due Diligence in jewellery business relationships – down and upstream.’ on 25 November 2014. The training was designed to help Members carry out Human Rights Due Diligence and offer a look at the challenges of addressing Human Rights in business relationships. The RJC’s Human Rights Exchange hosted its first webinar focused on human rights in the jewellery supply chain. The Human Rights Exchange is a forum for Members, auditors and other stakeholders to discuss, examine and tackle Human Rights issues within the jewellery industry. Panellists included Sandra Atler (Human Rights expert), Claus Teilmann Petersen (Pandora) and Philip Hunter (Verite). For any information on the webinar, to get on the Human Rights Exchange mailing list, or for any other enquiries, please email training@responsiblejewellery.com. The Responsible Jewellery Council’s Standards Director, Fiona Solomon, was a panelist on the UN Global Compact’s webinar series on Traceability in Global Supply Chains. The webinars aim to identify common challenges and solutions to tracing materials through complex global supply chains, painting a global picture of best practice and providing a comprehensive view of key initiatives. The webinar also explored the objectives and challenges unique to the mineral and diamond industry supply chain. For a copy of the seminar slides please click here. For a recording of the seminar please see the UN Global Compact website. RJC invited all interested stakeholders to hear about the proposed changes to the Code of Practices and get involved in the consultation process. Reflecting the input from two previous rounds of stakeholder consultation, the final draft of the Code of Practices aims to address jewellery supply chain risks and promote best practices from mine to retail. Sustainability standards are a trusted sustainability tool in sectors such as agriculture, fishing and forestry, but in recent years we have seen a rapid growth in the development of standards for other types of production, extractives in particular. In this webinar we explored the contributions that standards can make to improve social and environmental performance in the extractives sector and the approaches that have been taken to developing standards for oil, gas, minerals, mining, and so forth. Presentations from standard-setters in the ISEAL Community provided insight into their efforts to address social and environmental issues, their engagement with industry and other key stakeholders, and what needs to happen to make improved practices feasible and scalable. This webinar introduced some of the emerging initiatives for coloured gemstones sourcing and traceability and include an opportunity for questions and discussion. This webinar discussed existing and developing multi-stakeholder efforts by the US government, industry and civil society to promote the responsible sourcing of precious stones. The European Commission has launched a public consultation on a proposed EU Initiative on Conflict Minerals, likely applicable to gold, as well as tin, tungsten and tantalum. A survey is open until June 26 (see http://trade.ec.europa.eu/consultations/index.cfm?consul_id=174) and stakeholder feedback is being sought. RJC held a webinar session to brief participants on the proposed EU initiative, introduce the EU consultation questionnaire, and summarise industry feedback to date, with opportunity for questions and discussion.